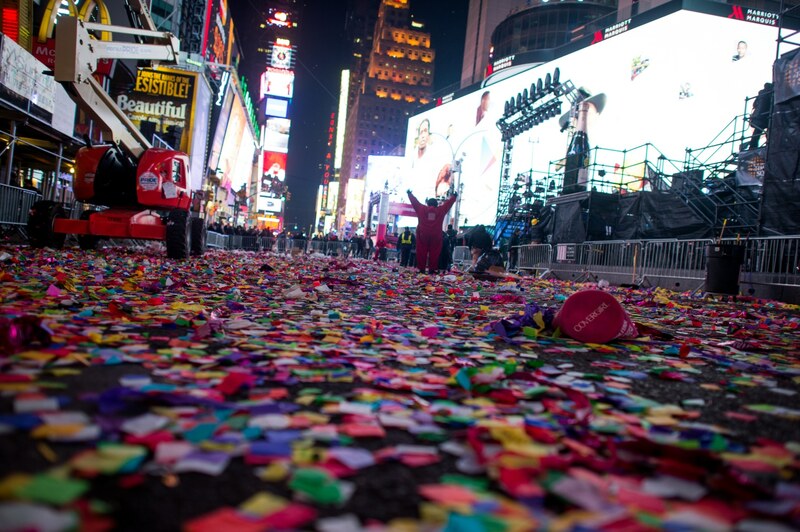 More than a million revelers were expected to celebrate New Year’s in Times Square as 2018 drew to a close. Two main things happen at midnight (actually slightly before). The giant ball drops and 3,000 pounds (nearly 1400kilograms) of confetti is dispersed over the crowd. 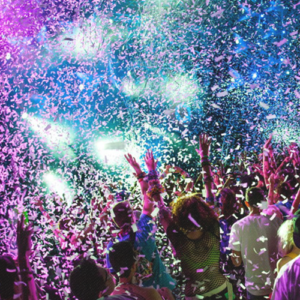 Afterall whats your party like without New Years Eve confetti? The crowds start gathering in the early afternoon, the hard-core among them wearing diapers so as not to lose their spots. No matter where they stand, however, they are certain to be covered in some of the confetti that will be released 20 seconds before midnight. The confetti drop started in 1992. In 2018 about 30,000,000 pieces of the colored recycled and biodegradable paper was used. It takes more than 100 people to complete the task, and the confetti is dropped from the tops of 7 buildings surrounding Times Square. 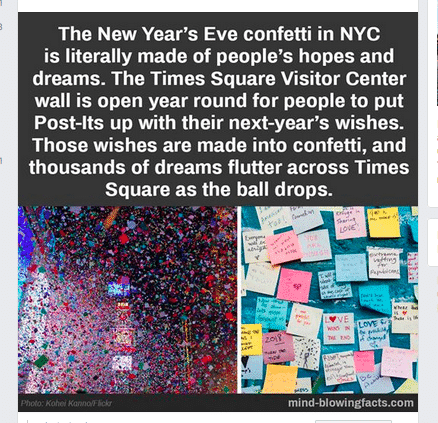 In recent years the general public had the opportunity of having your wishes to be added to the confetti that flutters down in the heart of Times Square on New Year's Eve! 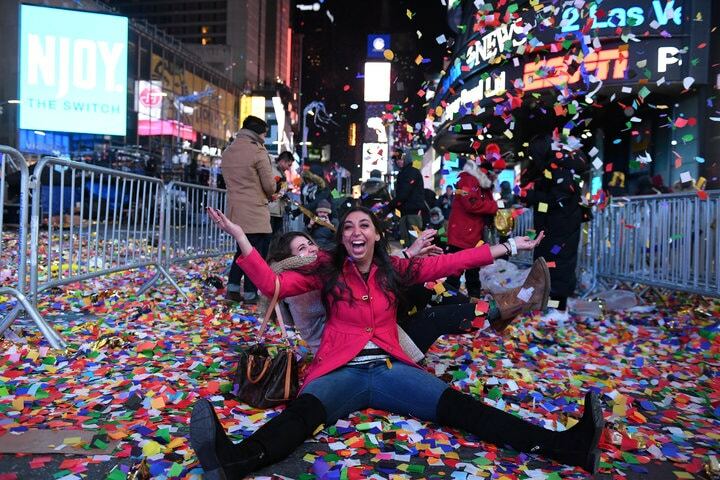 Each year, people from around the planet include their wishes for the new year on pieces of official Times Square New Year's Eve confetti, either digitally or in person. Submit your wish on Time Squares digital wishing wall! Whether it's a personal goal, a dream for the future or doing something for the very first time. These wishes are added to over a ton of confetti that floats down at midnight onto the revelers gathered in Times Square. Be a part of this most magical night by making your wish in person through our mobile Wishing Wall on the plazas or by sharing your New Year's wish with us below or on Twitter and Instagram using #ConfettiWish. 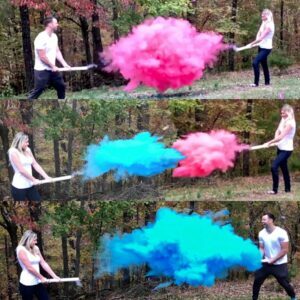 Are you having your own New Years Eve function? 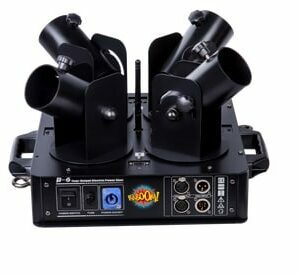 At home or at a venue? 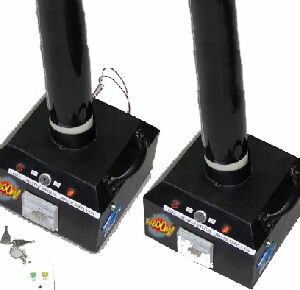 Why not contact us or simply head over to our confetti cannon page and order your very own amazing confetti cannons.